Category: Blankets and Throws. 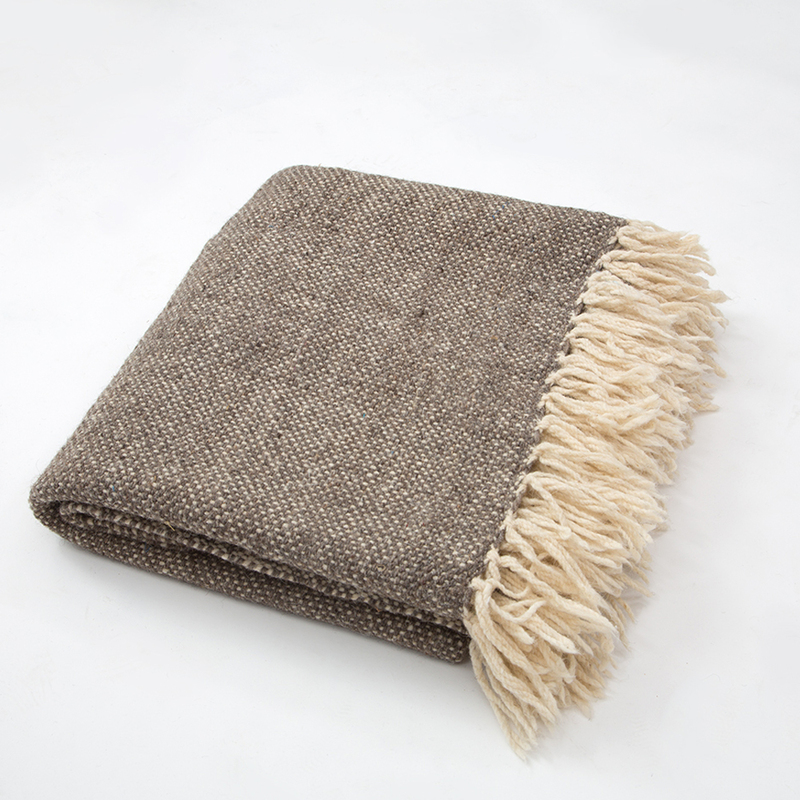 Tags: fringe blankets, gift, hand woven, Morocco, Thank you gifts, traditional handicraft, Wedding gifts, wool blankets. 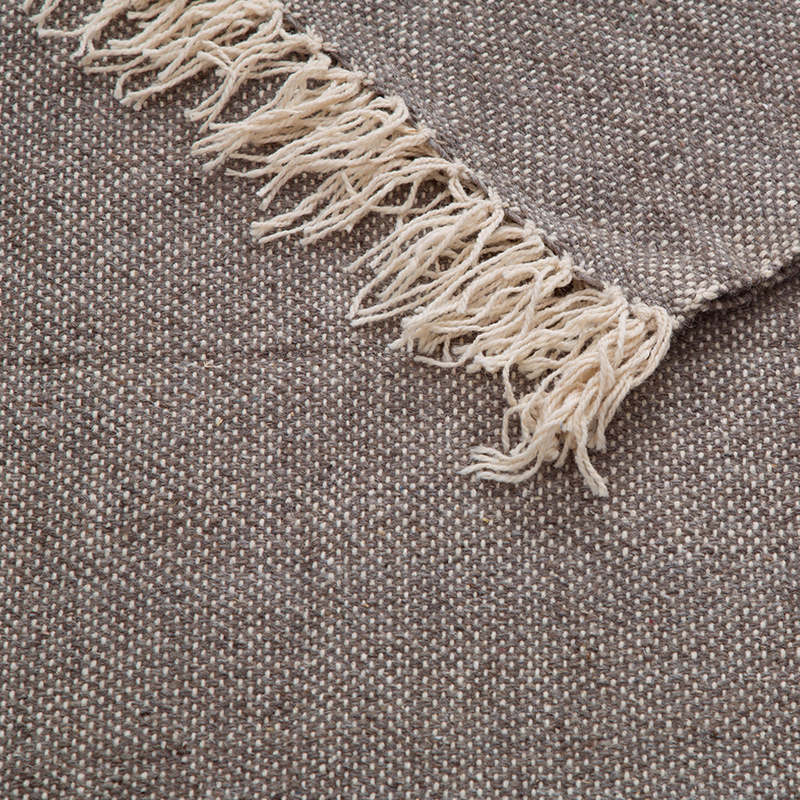 These hand-woven blankets in chestnut and natural wool are designed to keep out the cold in the High Atlas Mountains. They have been handcrafted for us on traditional wooden looms using techniques handed down from father to son over generations. 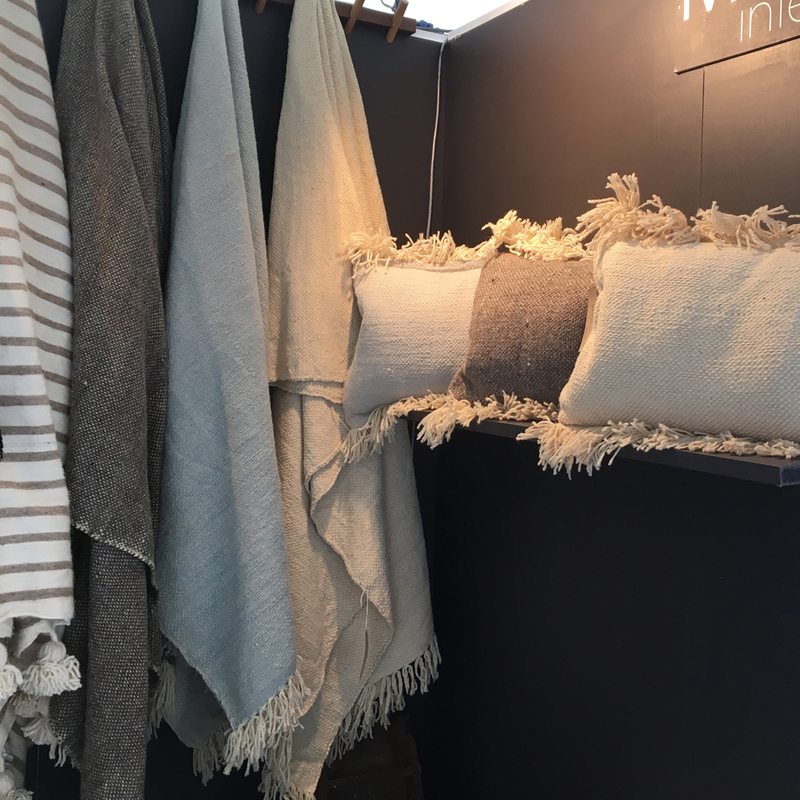 The two shades of natural wool and the bouclé weave add texture and the fringing at the head and foot creates a modern rustic feel. 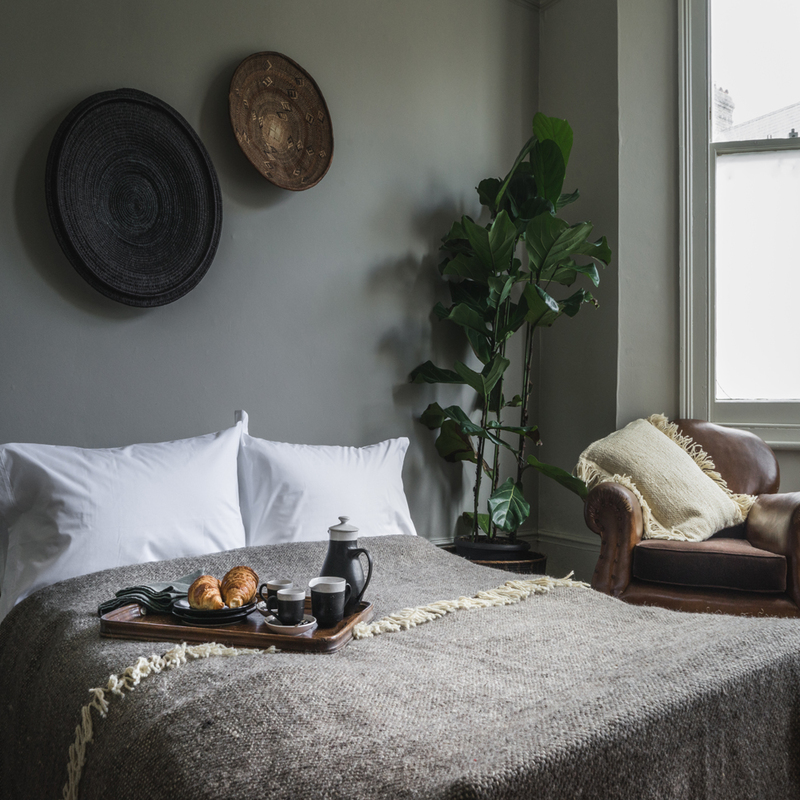 Team with one of the matching cushions or the natural cushion (shown in the lifestyle photo) to complete the look. Scroll over the photos to see the blankets in more detail.